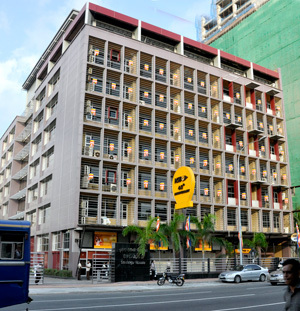 The National Savings Bank’s (NSB) purchase of shares of The Finance Company (TFC) might have passed off as just yet another unsavoury transaction on the Colombo Stock Exchange. What heightens the “stink” are the high profile identities of the parties concerned, the implications that the transaction could have on the liabilities of the Government of Sri Lanka and the soundness of the banking system and, with the subsequent executive orders that the transaction should not be “completed”, the very integrity of the settlement system of Colombo’s stock market. The transaction itself is blatantly obscene. The NSB has purchased a significant block of shares of TFC, which is no more than a distressed finance company. The purchase has been made at a price, which is significantly in excess of its previously traded price (and executed at the final price through several “manipulated” trades.) The “sellers” are led by the CEO of the stock broking firm who has been in the thick of several questionable deals in the past, and who represented the buyers and the sellers to the transactions, and is also a director of TFC – all of which point to an arranged deal. Such manipulated deals have become a commonplace in the Colombo stock market. Dozens more can be unearthed, where government-controlled pension funds have been the buyer of junk stock, time and again. As is usual in such cases, eyebrows were raised and the issues conveniently forgotten thereafter. However, this transaction, if any, should be of public concern and outrage. Firstly, its impact on the credibility of the NSB and the integrity of the financial system as a whole is inestimable. Until now, the NSB has been perceived of as a “safe” bank, and was probably the financial institution that enjoyed the greatest degree of public confidence. It was truly the bank of the people. The Government of Sri Lanka has guaranteed the deposits in terms of the law. This deal now questions whether that confidence is any longer justified. If the rot has set in, what is the guarantee that it will not happen again, particularly if those responsible for the transaction are not effectively dealt with? Even if one accepts the unprecedented and unwarranted explanations of the Chairman and the CEO of TFC justifying the purchase of shares of their own company, the NSB is certainly not the financial institution that can be used as the guinea pig for financial experimentation. Perceptions are paramount in financial markets and this transaction undermines the integrity of the institution. Also, if there was hidden value, which was certainly not apparent to the public, were the parties to the deal, being insiders, acting on unpublished price sensitive information? The transaction also raises questions on the process of selection of directors of banks, and most certainly of state banks. Are they based on ability or merely as a quid pro quo for favours delivered and anticipated? The directions of the Central Bank require that directors of banks should be “fit and proper”. The Central Bank has been quick to disqualify several persons in the past on the grounds that they have not been fit and proper to hold positions as directors and senior officers of banks, even on the premise that they have not resisted orders from all-powerful chairmen. In that context, what, for instance, is the basis for having ruled the Chairman of the NSB as being “fit and proper”? Was it his educational qualifications, if he has any? Was it his past record at the several companies in which he was previously employed? Or was it the board minutes of the last state owned institution, which he chaired, which contain many references by his co-directors to his commissions and omissions? Or is it merely that he is above the law because he is wedded to a Justice? And he is merely just one example, there being many more similarly appointed by the Government to the boards of financial institutions. Thirdly, the response of the government has been rash and will not auger well for the future of the Colombo Stock Exchange. While no person with any sense of propriety would try to justify the transaction, refusal to honour payment on a transaction executed on the floor of the Exchange will only result in severely undermining investor confidence. One of the primary concerns of investors, and particularly foreign investors is whether transactions could fail, especially since the Colombo Stock Exchange does not practice the concept of Delivery versus Payment. Until now the Exchange could justifiably boast that there were no failed trades. However, this transaction has ended that claim. It is likely that this incident will contribute towards a further erosion of investor confidence, a luxury that the Colombo Stock Exchange can ill afford when the market is already struggling to hold its own. From all accounts in the media, the President himself has intervened to have this transaction investigated. Being the Minister in charge of Finance the responsibility for the subject falls on his lap. Although the temptation to reverse the transaction is probably a natural reaction it would be more prudent to deal with it rationally and within the law, i.e. hold those behind the transaction responsible for it, declare them ALL to be unfit to hold positions as directors of financial institutions, and compel the sellers to repurchase the shares on the market at the price at which it was sold to NSB. Acting outside the rules will cause irreparable damage to the credibility of the market. Similarly, sweeping it under the carpet will not only undermine his credibility but also fuel the rumours that the executive is compelled to pander to certain members of the judiciary. (The writer is an investor in the market, worried about its recent happenings. He wished to remain anonymous). Discussion on 'what happens in boardrooms"